I found this book at a discount store for $2.99, and after reading it, I would’ve paid more. That in itself is a good plug. The Longings of Wayward Girls follows two seasons of Sadie’s life – in early adolescence and post-marriage/kids adulthood. We go back and forth from her snobby neighborhood pranks to her brash decision making as a wife and mom, both of which lead to chaos. As a young girl, she and a friend play a horrible prank on a less popular girl, just before the girl goes missing. Fast forward to adulthood, Sadie realizes that many games are still in play. We’re all a bunch of children when whittled down. None of us, it seems, ever really grow up. It’s hard to speak about a book like this without giving away details that matter. I can tell you that Sadie’s mother killed herself and left a scar in her so deep that you have to wonder how any of us ever heal from childhood tragedy. And even though Sadie’s husband is lovely and her two children are darling, sometimes it’s just not enough. There’s something to be said of our longings, even the ones we don’t understand. The New York Times quote on the front cover says, “Enthralling… Once you’ve discovered this haunted world, you won’t want to leave it.” I found that statement to be accurate. 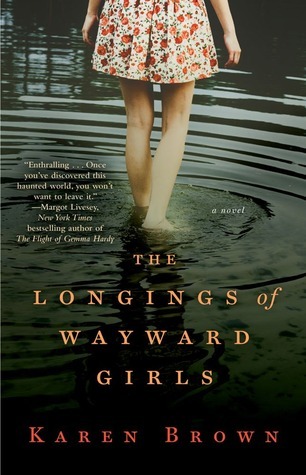 Buy The Longings of Wayward Girls here. In keeping with my Lent reading, I finished Anne Lamott’s Help Thanks Wow and have moved on to A Prayer Journal by Flannery O’Connor. 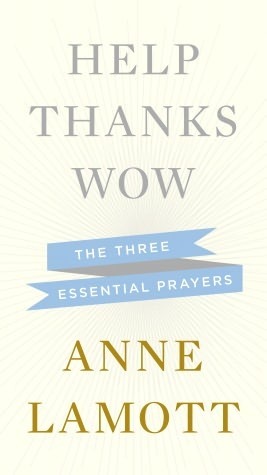 Anne Lamott is a great writer. Frank, to the point. She doesn’t waste time and space, which I appreciate. She’s also humorous, which is always a plus. Help Thanks Wow is brief, and though I normally appreciate brevity, I think this book could use more meat. Her intent, I believe, was to strip down prayer to its most honest, meaningful purpose – to appeal for help, to live in a state of thanksgiving, and to marvel at all God does for us. I agree that those three points serve a plumb lines for our prayer life. Lamott offers anecdotes to support her position, most of which are delightful stories, some more moving than others. Don’t get me wrong – it’s a nice read, but it wasn’t groundbreaking. More than anything, it was a reminder that sometimes being brief with God is enough, especially when you just can find any other words to say. Buy Help Thanks Wow here. Yet another snow day. Is it Spring yet?